Can’t get enough Angry Birds. Good news from Rovio for webOS fans. 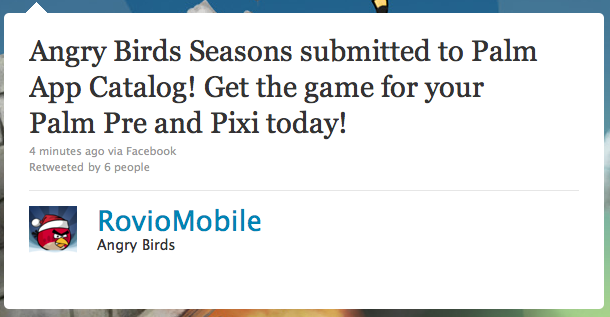 The company’s official Twitter account announced that Angry Birds Seasons has been submitted to the App Catalog. What’s the mean? A lot of pigs are in some serious trouble and a lot of webOS owners will be able to get more of their Angry Birds fix.